Our academic programs are recognized as being among the very best, because we provide an experiential learning environment that transcends classrooms and labs, leading to the best graduation rate in a five-state region. 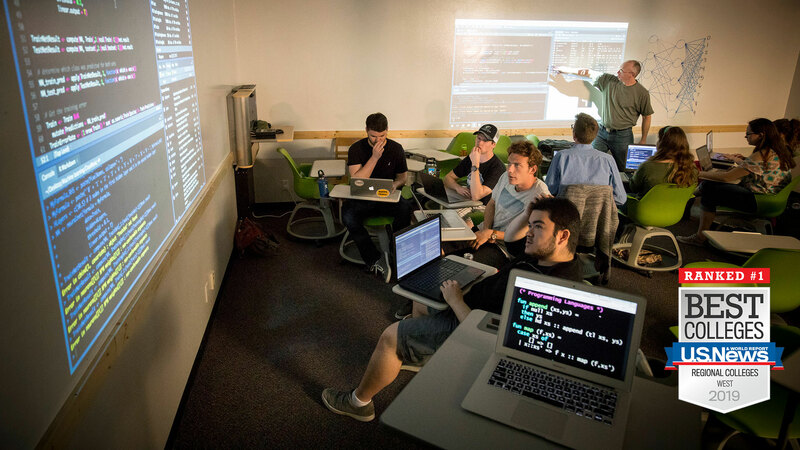 The academic experience at Carroll features small class sizes, labs and facilities that foster state-of-the-art experiential learning, and professors who challenge students as much as they support them. But beyond that, ours is a Catholic liberal arts setting that prepares students in a distinctive way for their chosen profession, for lifelong learning in an ever-changing world, and for success in everything they do. The moments our students and faculty share in the classrooms, labs, and in the field are powerful ones. Together, they pursue knowledge with curiosity and conviction. With creativity and positivity. Because that’s what it takes if you want to truly touch lives and bring positive change to the world. We do. And in the process, our students experience the moments that empower them to realize their vision of the life they want to lead.